Protection Dogs For Businesses: Does Your Business Need One? Most business owners when tossing around the idea of a protection dog immediately think LAWSUIT or LIABILITY. The truth is that a properly trained protection dog and handler team is not a liability, and with proper documentation you will not lose a lawsuit if it ever comes to that. We hope that it never does. However, we also live in reality and know threats are out there. Better to be prepared and safe than wishing you were. Now this is a topic I could write a book on but for time’s sake I’m going to keep it short and simple. I’ll ask a few questions and provide the right answers to lead you down the correct path. Does my business need a protection dog? Answer: Maybe. It really depends on your business and overall situation. If you are in a cash business where you are at risk of being attacked and robbed, I’d say yes. Maybe you manage a facility that continually gets broken into, again yes. I’d say a protection dog is a viable option for you. In short if you are in a position where you are at risk of bodily injury on a consistent basis, or the potential of crime against your business is high. I would get a protection dog for yourself and your business. Answer: A protection dog is a working dog that 99% of the time is a love-able family pet, with a good demeanor. 1% of the time he will be working and training, and hopefully he will never have to do the work for real. But in the case that he does, he will be ready and perform with excellence potentially saving your life, and keeping you out of harm’s way. Answer: Yes, as long as the dog is properly trained. A well trained protection K9 companion will not cause harm to anyone unless told to do so. The bare bones basic theory of a protection dog is that it will only protect you when instructed or it is obviously needed. Such as an attacker puts hands on you. In the video below you can see just that. The decoy, or “bad guy” greets the handler and shakes his hand the dog knows that this gesture is no cause for alarm. As soon as the decoy attacks the handler, the dog fires up and goes into defense. Answer: It really varies on the dog and your needs. You can purchase a fully trained dog for 15 to 20k. Most small business owners don’t have that cash just laying around. However, the cost may be as low as $5,000 if you are willing to commit to a dedicated program. On average our customers spend $5,000-$10,000 on a fully trained protection dog. Don’t let this scare you the benefits far outweigh the costs plus that’s a total cost, you don’t pay for it all up front! Can I write these expenses off? Answer: Yes, it is after all a business expense. But you get the benefit of having a family companion at home too! What is the training and how long does it take? 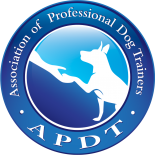 Answer: Training is structured and well planned out for each individual business’ needs and the dog. Training a protection dog typically consists of 3 major areas: Advanced Obedience, Handler Instruction & Control, and Protection Work. An eight week old puppy will obviously need more training than a 1 year old green dog, and an alert dog will take less time to train than a fully trained protection dog. It depends on your business’ needs and the dog. We never anticipate training to be 100% perfect. It’s not realistic, there will be hurdles that the dog will need to overcome and hurdles the handler will face as well. Each training session’s goal is to make progress and move forward. As a general rule of thumb a fully trained protection dog starting at 8 weeks old will be trained by 24-30 months old. Answer: Talk to us BEFORE purchasing or finding a dog you think will be a good protection dog. We have 100’s of connections and we will find the right dog for you. You may need a trained protection dog, or perhaps a green dog that can be molded to your specific needs. In the end you need to have a reliable and trained dog that does his job. What industries do you typically see protection dogs in? Answer: There is a long list of businesses that utilize protection dogs. Some of the industries we see dogs in specifically in Colorado are: Storage Facilities, Marijuana Growers & Dispensaries , General Contractors, and Private Security Companies. If your business doesn’t fall into any of these categories that doesn’t mean you can’t have or don’t need a protection dog. Call us let’s discuss your needs! Answer: First things first, we will need to sit down and evaluate your needs. Certain dogs will be better in some situations than other dogs will. We offer a full concierge service for our business customers. This can include sourcing a dog for you, importing a trained dog, training your dog, and well we basically taking care of you from start to finish. If you are interested in getting a protection dog for your business please give us a call and we will gladly set up a free initial consult with you.